Who would want their appearance and health to deteriorate? That’s the natural consequence of missing teeth – the jaw literally melts away. Generally, people will lose 25% of their supporting jaw bone structure within the first year after tooth loss. Dental implants are more easily placed when teeth are first extracted because bone replacement becomes more complex as time passes. The great news is Implants act just like your natural teeth. They safeguard and preserve your bone structure, oral health and appearance. Your dentist and the implant surgeon will provide you with options so that you can make the most informed decision concerning tooth replacement. 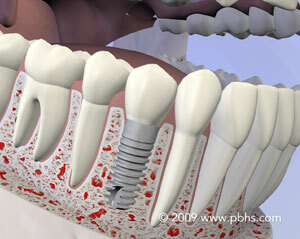 Learn why dental implants are now the standard of care for missing teeth. A beautiful, natural-looking solution – Most similar to natural teeth, dental implants are designed to be a reliable, stable, and natural-looking restorative solution. Prevent and minimize bone loss – Implants transmit chewing forces to the jaw bones, helping to maintain your bone and facial structure. 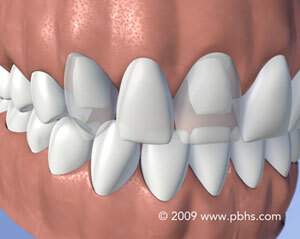 Without teeth your bone may resorb resulting in shifting teeth and loss of facial structure. Preserve surrounding teeth – When an implant is inserted in place of a missing tooth, adjacent health teeth are not damaged. 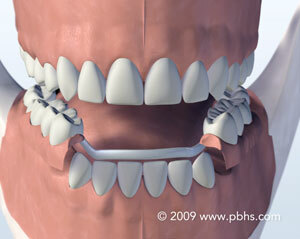 With a conventional bridge, neighboring teeth must be ground down to support. 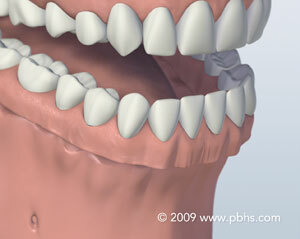 Comfort – With dental implants, palatal plates used with conventional dentures are unnecessary. 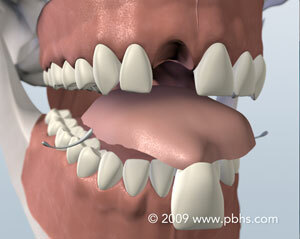 Patients who replace all of their teeth with dental implants can feel more comfortable talking, smiling and eating. Proven Quality – With a long history of providing reliable, high quality dental implants, Straumann is one of the best choices for your dental implants. The Straumann® Dental Implant System is scientifically based and one of the most commonly used systems. Treatment with dental implants is a surgical procedure and requires prior evaluation by your periodontist to make sure your dental and general health permits dental implant treatment.